Fed up of tired clichés in professional football? 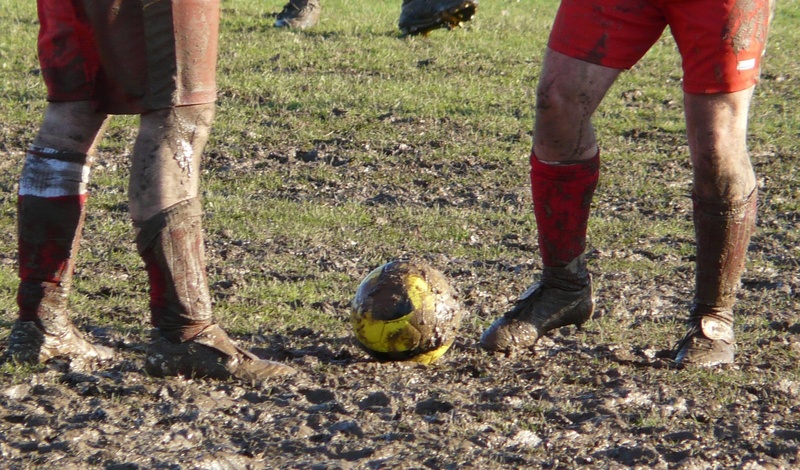 At least the grassroots game is safe... or maybe not, as Adam Hurrey of football blog Football Clichés explains. This is a piece about Sunday league football. It will not make any reference to hangovers (yes, some of them go out the night before and are still drunk when they turn up! 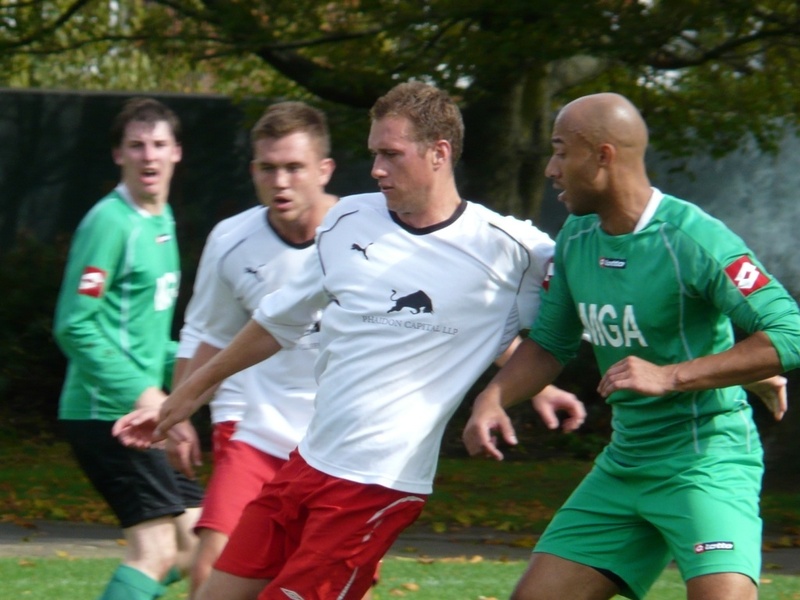 ), fat players (no, they aren't professional athletes!) or crap pitches (guess what, the public playing surface isn't completely flat and abundant with grass!). English football, from top to bottom, has always been characterised by its intangible, unquantifiable (unless you count bags as suitable units of measurement) qualities of spirit, passion, grit, determination and, less notably, "talking". Talking is easy. 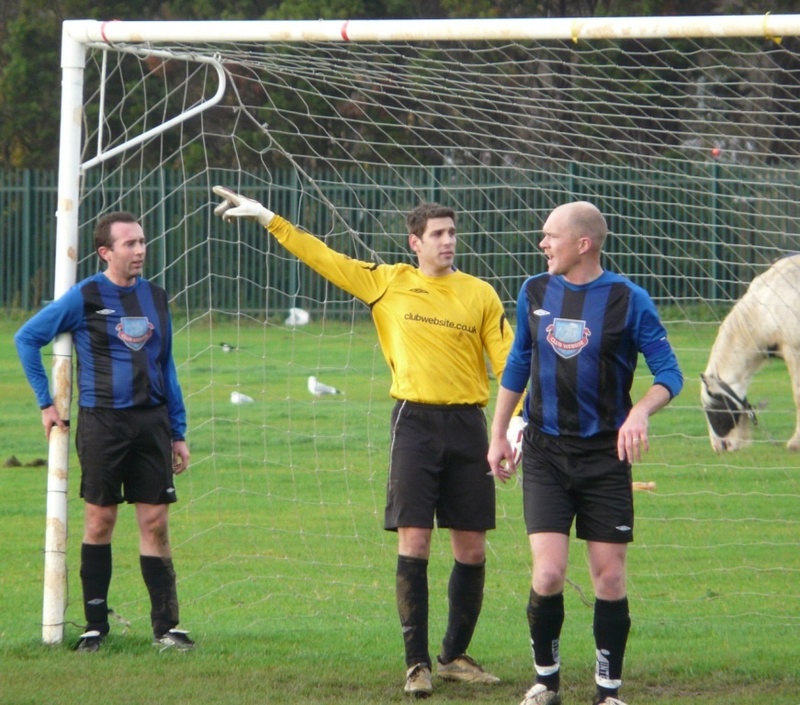 Not talking enough is generally agreed in Sunday league to be highly counter-productive. Players are urged before kick-off for "lots of talking", especially "back there". To avoid this indictment, a lexicon of largely useless phrases has emerged, which can be called upon whenever it is necessary to fill a period of relative silence. Everyone knows them, everyone understands what they are vaguely supposed to mean, and almost nobody questions them. Now, clichéd as they are, many bellowed phrases you hear on a football pitch - "Man on! ", "Out we go!" etc. - are useful instructions. Nothing wrong with those. Going quiet, as highlighted earlier, is the sign of a malfunctioning team. No-one is talking, which means we all might as well go home. A period of notable quietness is ended only when the captain draws everyone's attention to it: "Come on lads, we've gone quiet!" It can, at the shouter's discretion, be bookended with '.."haven't we? ", to offer the illusion of a debate where one is really not available. Apart from functioning to actually end the quietness, this is accepted as an open invitation to call upon phrases 2-8 in this list. A staple instruction that can be used only at a very specific moment - namely, the opponents kicking off the game. "Run after the ball! ", it demands. "Chase it when they kick it backwards!" Only the strikers need to, of course, and the moment quickly passes. Getting "straight in" is not a continuous requirement, but merely an opening gesture of intent, which is guaranteed to be unfulfilled. Often accompanied by a mindless, yet somehow entirely appropriate-feeling, clap of the hands. 3. "Two on the edge!" When a corner is awarded, it is everyone's job to pick up their man. One player has the added task of spotting a particular discrepancy in this complex marking system, in that there are two unattended opponents lumbering into the penalty area. In extreme circumstances, there may be "three on the edge" - an unthinkable catastrophe which is met with a suitably incredulous cry of "I've got three here!" The lack of concentration may be down to the defence's preoccupation with the big man, the tall (i.e. 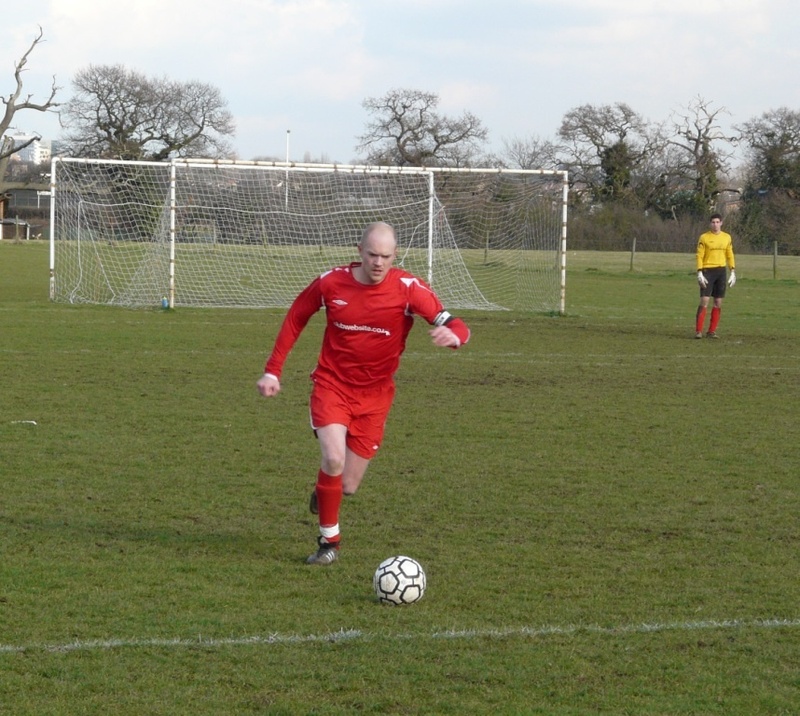 lanky) opposing centre-back/estate agent, who has arrived with a look of great purpose from the back. An utterly irritating phrase (specifically designed to be so) used by smug opponents to declare your attacking efforts as weak and unlikely to succeed even if repeated. Often said twice in quick succession - as a speculative effort flies high, wide and [not at all] handsome - to compound the humiliation. Football is an overwhelmingly childish pursuit. Much of football supporting is based on schadenfreude and suffering the taunts, in return, when your own team is humbled. To combat this threat, some employ an overly defensive stance, hoping that an audible absence of pride will pre-empt any possible fall. And so, if a Sunday team races into an early lead, one stern-faced, armband-toting try-hard will attempt to construct a parallel universe in which the game is, in fact, goalless. The job is not done, he says, a point he may return to when the final score is 7-4 or something similarly amateur. A cult classic, in my eyes. Satisfies two fundamental criteria: 1) A laughable attempt at tactical insight, and 2) Exclaimed almost instinctively, every single time. The ball goes out for an opposition throw-in, deep in their final third, and it is universally accepted that they do not have the adequate technical skills (or simply the upper-body strength) to play/hurl their way to safety. 7. "[Shirt colour] head on this!" Possibly the most pointless one of all. For the uninitiated, this cryptic command is for your teammates to meet an imminent opposition hoof with their head before the other lot can. No accuracy is required but congratulations are available for heading it really, really hard, straight back where it came from. "Well up!" you are told, with your name declared in full if the game is particularly tense. 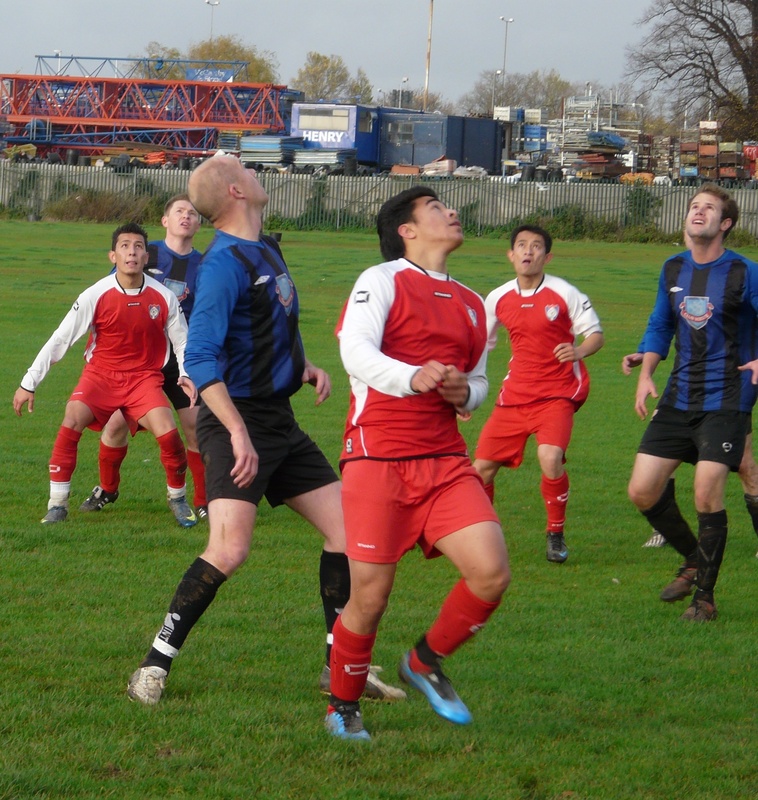 More forward-thinking Sunday league players concern themselves with the second ball, which is often simply another header. Third balls remain an untapped, bewildering resource, possibly due to Chaos Theory. Loosely translated as "Now look here, teammate - I neither want nor trust you to play your way out of trouble. 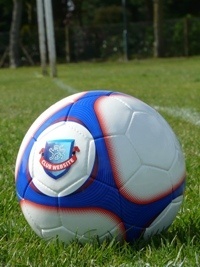 Please dispose of the ball as quickly and as far away as possible." Failure to do as directed leaves one open to castigation for "fannying about with it there." Professional footballers, it should be noted, do not officially fanny about but simply dally, hesitate or dwell on the ball. The ball drops from the air and a player finds himself in acres of space. Pointing this out to him might seem a good idea. It'll calm him down, allow him to get his head up and play a pass, rather than treat the ball like an unpinned grenade. However, when ten other players scream "Time! Time!" in unison, it tends to have quite the opposite effect. The futility of the situation is laid bare when, after relinquishing possession easily, the player is offered a final, withering, retrospective observation. 10. "Where was the shout?" 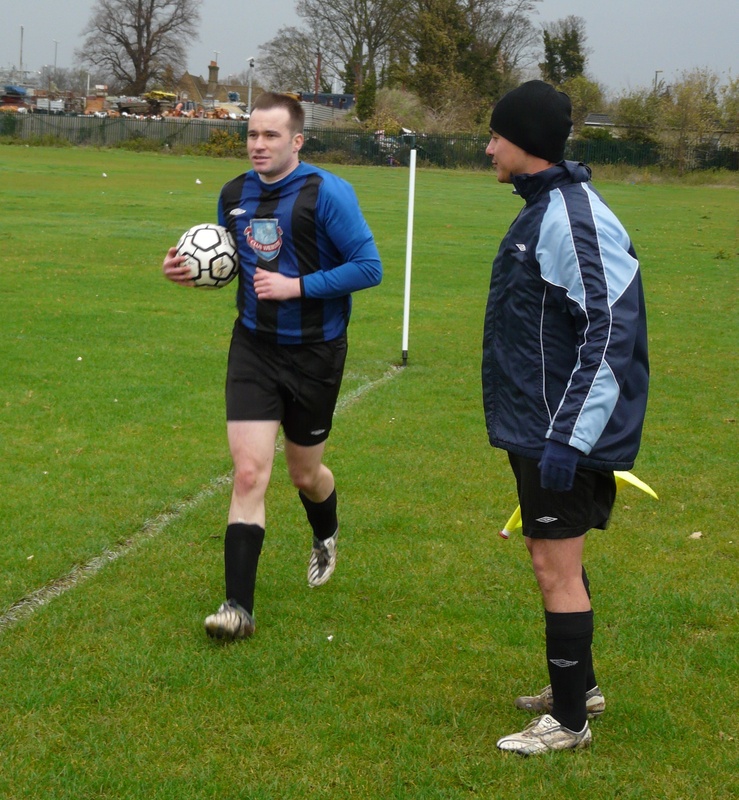 The ultimate act of Sunday League buck-passing. A player is unceremoniously dispossessed from behind, to howls of derision from his teammates. Accompanied by a despairing flap of the arms, the player begs of his colleagues: "Where was the shout?" Because they've gone quiet, haven't they? See more of where this piece came from at angleofpostandbar.blogspot.com.